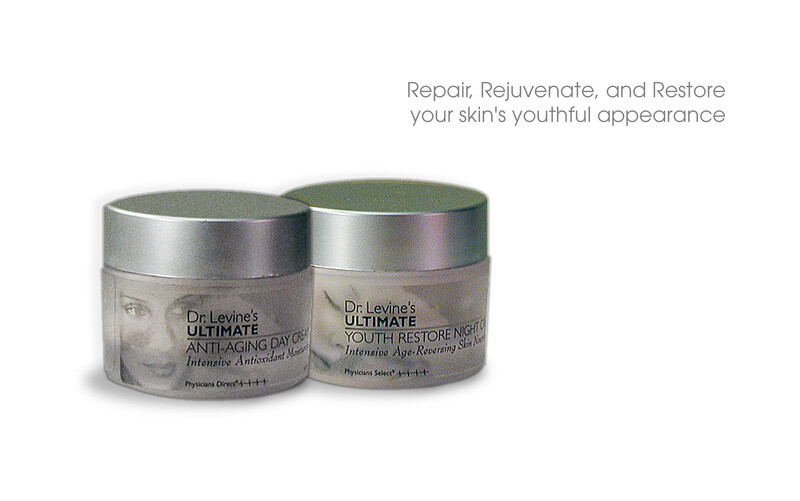 Treat your skin both morning and night with Dr. Levine’s Ultimate Anti-Aging Cream combination. Save with this ultimate combination which includes Dr. Levine’s Ultimate Anti-Aging Day Cream™ and Dr. Levine’s Ultimate Youth Restore Night Cream™. Fight aging, repair cellular damage, support and protect skin structures with this simple regimen.